On 29 October 1982, Alice Lynne Chamberlain was convicted in the Supreme Court of the Northern Territory on a charge of murdering her daughter Azaria at Ayers Rock on 17 August 1980 and Michael Leigh Chamberlain was convicted of being an accessory after the fact to that murder. 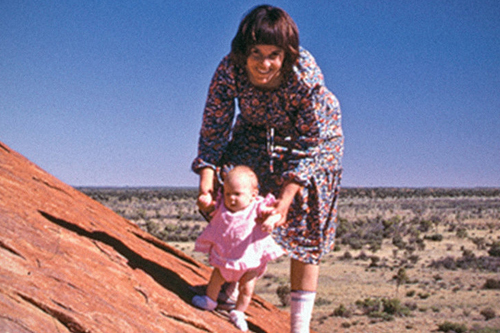 Doubt subsequently arose as the guilt of the Chamberlains following the discovery in February 1986 of a baby's matinee jacket and other items at the base of Ayers Rock not far from the place where clothing, identified as that of Azaria Chamberlain's, was found in August 1980. Mrs Chamberlain had maintained that the infant was wearing a matinee jacket at the time of her disappearance and it was considered that the discovery of the jacket and other items could throw additional light upon the circumstances of the child's disappearance. As a result, the Northern Territory Attorney-General decided that an inquiry should be held as to the relevance of the jacket, the other items and related matters. At the same time the balance of Mrs Chamberlain's term of imprisonment was remitted and she was released from prison so that she could have unfettered access to her legal advisers for the purposes of the inquiry. In the absence of suitable legislation in the Northern Territory for such an inquiry, a Bill was developed specifically to establish a Commission of Inquiry into the convictions of the Chamberlains. The Bill set out the terms of reference for the Commission and the powers and functions of the Commissioner, who was required to be a judge or former judge of a state or territory Supreme Court or of the Federal Court. The Commission was required to report to the Administrator on the conclusions drawn from the evidence and the material information received by the Commission.